I am always in search of a new and creative ingredient to try out for mealtime. Today I dive into the bottom of my pantry drawer where all the beans and rice are stored to find a package of dried Royal Corona Beans. 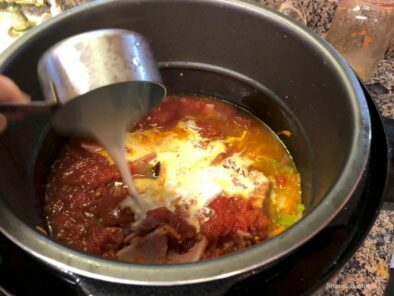 Check out this Royal Corona Beans Tomato Ham Soup Recipe you can print and add to your recipe box. 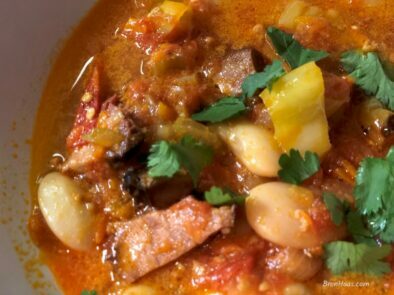 You can make this a soup you create any time of the year because of the dried royal corona beans. Ham in the recipe can be from the freezer. Who doesn’t have fresh celery, carrots, and onions on hand at all times ( hello?!). I am using my instant pot to cook up this recipe but you could do this on the stove top – it just makes more of a mess and takes longer. For this recipe you will need 2 cups of ready to use Corona Beans. You can use the instant pot to prepare those dried beans for cooking or soak the beans overnight. In this recipe I soaked the beans overnight. Add onions, garlic and celery to the heated Instant Pot / pressure cooker and saute. After about 4 minutes or until the veggies are soft add the celery and carrots. 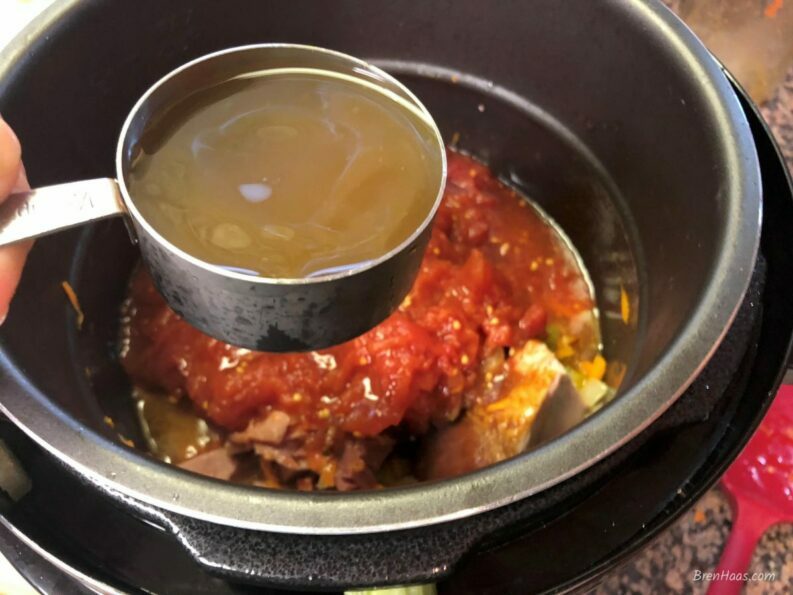 Move gently around in hot Instant Pot / pressure cooker . Slowly add Tomatoes to the pot and cream. layer in ham and beans. Refer to directions on your brand of Instant Pot cooking the soup on a bean setting. Mine was in for 20 minutes using bean setting. Let the instant pot slowly release pressure on its own if possible. If you are in a hurry to eat you can go ahead and use guidelines on your instant pot / pressure cooker to open lid. ENJOY with your favorite soft bread for dipping. If it weren’t for the beans in the kitchen drawer I don’t think I would have thought of making this. I am so glad I did! My daughter happens to be over and was concern that the bean would go bad. One quick glance at the package showed the shelf-life was another 2 years! My secret ingredient was a pepper my friend in California sent me to try this summer. I didn’t have time to prepare the pepper this summer before our big summer vacation so I washed the pepper, put in ziplock and stored in the freezer. It was amazing in this soup. In fact, my husband thought the scent of the pepper was going to make his face catch fire only it had an amazing low heat flavor. The pepper is a Hot Banana Pepper ‘Fury’. I threw the frozen pepper in the instant pot and chopped it up once the soup completed its cycle. Hot Banana Pepper Fury had the scent of the original pepper but was very mild in heat. The boys loved it! 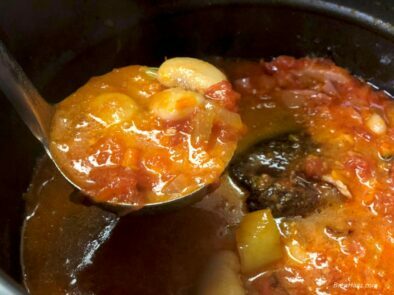 Below are photos from my recipe share using the Power Pressure Cooker XL. HUGE fan of this new Tresomega Nutrition Virgin Coconut Oil. I’ve been using it in baking and in saute. It takes the place of butter only with more nutrition. I’ll have to try it for some beauty spa days I hope to put together soon. I received the jar for 2nd Annual Tresomega “Organics For Life” Blogger Recipe Challenge I am participating in. So far I give this product an A+. Get some to try for yourself on Amazon using my affilate link. I really love my Power Pressure Cooker because it makes clean up super easy. I saute the onions, celery, and garlic in the heated pot. Chop the celery and shred the carrots for this Royal Corona Bean recipe. I’ve been spoiled by the Costco brand garlic in a huge jar. I always have garlic on hand thanks to that product. Today I am using a nice heaping spoonful in this recipe. After adding the carrots and celery mix the garlic in and saute for a few minutes to let all those great flavors blend. Below are a few more favorite photos from the recipe. Look at those beans and ham… yum! Time to add some liquid. I almost always have vegetable broth in the can or the paste to make my own in the pantry. The cream has become a favorite over the last few months to create my own soup base and a dessert topping. 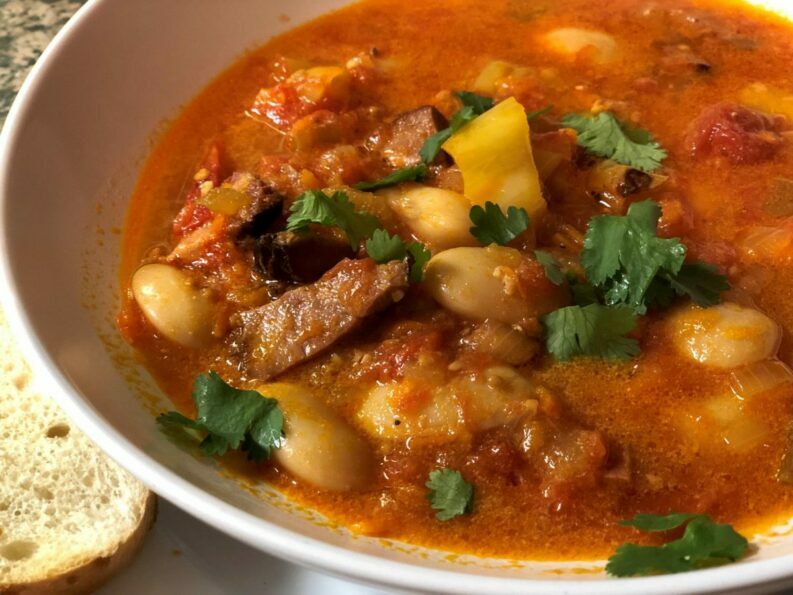 Here is the finished Royal Corona Bean Tomato Ham Soup Recipe! Be sure to send me a message if you have questions. Look how HUGE these beans are! I’ve been searching all day for information about this variety of bean. The only information I can find is from the company that sells the bean in dried packages on Amazon. Apparently, Corona Beans are also Gigante beans. The bean is HUGE! 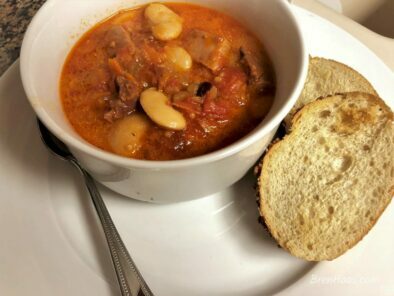 Some of my favorite recipes use beans! This super simple bean salad is one of my all time favorites. I’d love to hear from you so be sure to leave a comment on the post or visit my contact page.